You can pass any values in the Headers of ejDataManager and retrieve them at the server-side using the Request object of the HttpRequestMessage. This can be added to the headers either in the initial load of ejGrid or while performing any server-side operations like editing/adding and retrieve them at the server-side as follows. 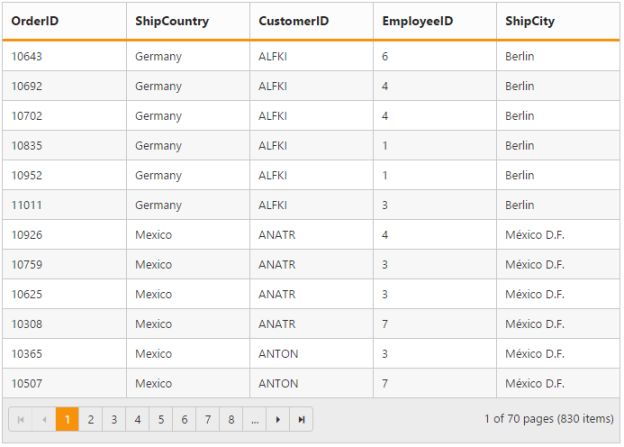 At the load event of Grid, we have to add some values to the headers of DataManager instances. 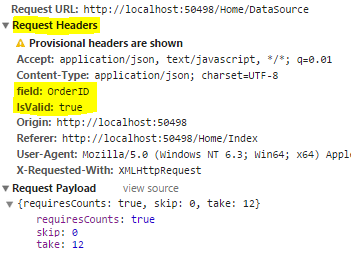 In static methods, we cannot get the HttpRequest instance, so we have used the HttpContext. Below screenshot shows the header values in the post request.